Hi gang! I wanted to give you all a heads up on a new class we just announced. I’ll be teaching a 2-day course called “Travel Photography: The Complete Guide” on July 6-7 at CreativeLive. This is an online class that will go live from 9 am to 4 pm PST and it’s completely free to watch while it’s live! If you want to watch and re-watch the class videos at your leisure, you can purchase the course to stream or download the files. This class will cover a subject that is near and dear to my heart: travel photography! After all, my lifestyle is such that I travel full time, whether on the road in my motor coach or at sea on a ship that I teach on. I chose this lifestyle so that I could photograph all over the country and all over the world. My photo library contains images from all 50 states and dozens of countries and I would love to teach you everything I’ve learned along the way! 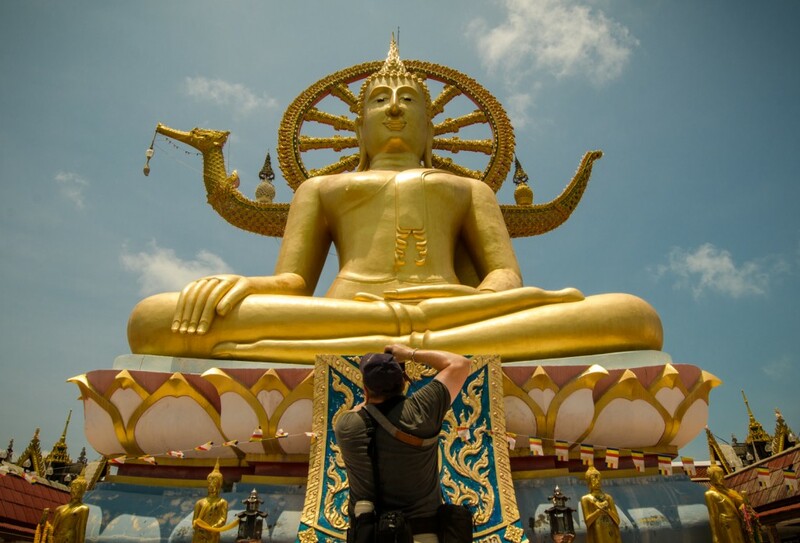 Here I am shooting at the Big Buddha Temple in Ko Samui, Thailand. It takes the perfect combination of gear, exposure, and creative thinking to produce travel images that stand out from the rest. Learn the how to bring the critical ingredients together in Travel Photography: The Complete Guide with Ben Willmore. Ben will cover everything you want to know about selecting, packing, and protecting gear. You’ll also develop an efficient digital workflow that fits the fast-paced lifestyle of travel shooting. Don’t go on your next travel adventure without the insights and skills you need to capture high-quality images, fast processing – join Ben Willmore for Travel Photography: The Complete Guide. I hope you’ll join me online (or in the studio audience in Seattle) on July 6th and 7th! You can learn more about the class and register for free HERE. Just what I need for an upcoming trip to Australia. Thanks for doing this class and letting us know about it. I’m looking forward to watching!